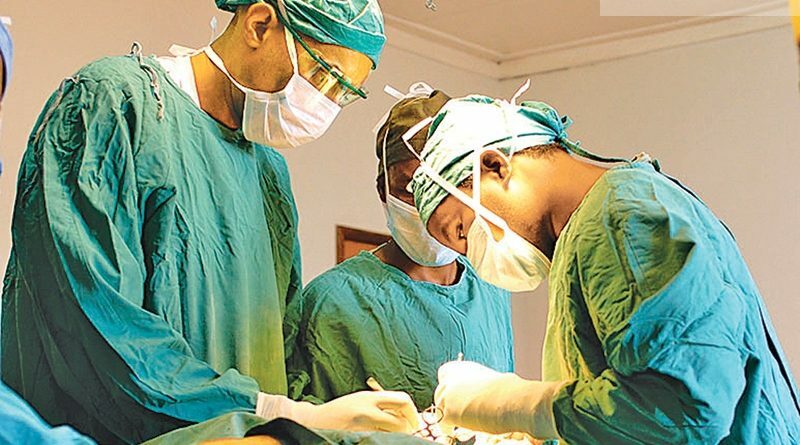 The first ever surgery in Sri Lanka’s history performed at the National Hospital of Sri Lanka on a stroke patient without opening up the brain has been successful, NHSL sources said. Sources said the stroke patient’s life had been saved after a 15 minute brain surgery at the NHSL. The patient had suffered a stroke due to a blood clot in the brain. The surgery had been performed within eight hours of hospital admission by NHSL surgeons Dr. Prasad De Silva and Dr. Premasiri Bandaranaike. A catheter had been inserted through a leg to perform the surgery. The NHSL has all required facilities to perform such surgeries. This particular surgery costs over Rs. 3 million at any private hospital in Sri Lanka, the sources said. “Drugs usually administered to a stroke patient to dilute the blood clot can lead to paralysis and sometimes death. But this surgery saved the life of the patient,” the source said.